This article was written by Jungmin Kim (Jamie). 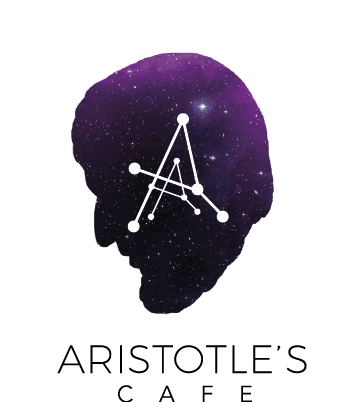 To join the conversation and see other questions, check out our Aristotle’s Café Facebook Page. As many of our discussions go, finding a path to these big questions start from building our thoughts towards a smaller trail of questions. From the original question, we wanted to understand more about our thoughts, how they are formed, and how they affect ourselves. You will be able to tell us your thoughts. But would you have any other thoughts that you may not be able to ‘tell’? Do you want to learn more about thought, language, and communication? One of the best ways is to learn each and every day it can be so easy if you simply lead your own discussion group! You can make more friends, learn to ask great questions, and always have new ideas for FREE each and every week. Language is a means for us in expressing our thoughts. Many participants agreed that if we are ‘thinking’ about something, we are ‘talking’ to ourselves in our minds in our own comfortable languages. However, language also constricts the expression of our thoughts at times. The English language, for example, has the words for 11 basic color categories but other languages may have fewer words, like the Alaskan language Yup’ik which has only 5 terms. So the same person looking at the same color may present a different description of his observations in different languages. The same would go for stating one’s feelings or telling a story. Many of us speak more than one languages at varying fluency level. So we may be able to express ourselves more fully in one language and not as completely in others. But when we are thinking in the languages we are less fluent in, are we thinking less? …Our answer was no, as we are still the same person. Language clearly symbolizes our thoughts and bring them to our consciousness but it seems that there are also the thoughts we may not express by means of language. For instance, what manifests in our dreams are often the thoughts that we may not have even been aware of but have been underlying in our subconsciousness. If we may count the stream of thoughts that come to our mind in a given day, researchers say around 60,000 – 80,000. Some of these thoughts require our attention for decision-making in various aspects of our lives but a big bulk of them seems to just arrive and pass. In fact, studies have pointed out that in this smartphone-driven world, we now have an attention span of 8 seconds, less than a goldfish can hold onto a thought. This is how busy our minds are. Where are all of these thoughts coming from? Our experiences, people that we interact with, or information from any sources of media that we now can easily access than ever before all seem to leave an imprint on our mind, interact with it and result in ideas. No single experience would be perceived in the same way for different individuals – the thoughts that we form therefore seem to be independently our own, but not independent of the imprints that life leaves us with. If there are so many ‘passing’ thoughts in a day, do any of them importantly affect us? How? The answer to the first question was a yes from all. Some participants shared the experience of how others’ passing remarks on them became their own thoughts and critically affected their self-perception and behaviors. For example, one participant once had someone telling her that she did not look confident. This was something she had never dwelled on but with that comment, she became engrossed with the thought. Gradually she found herself more self-conscious and the negative thought of her self-image deterred her even further from confidently interacting with others. In such a way, our thoughts may dictate our mood, demeanors, and actions – i.e. the thoughts can become who we are. If we have had the experience of our thoughts holding us back from who we would like to be, then how can we control our thoughts? Many of the participants had already reflected on this question and have been adopting practices such as meditation. Through meditation, they practice observing the thoughts without getting attached to their energy and emotions. One of the major purposes of our brain is to think, so there is nothing wrong with having thoughts. But what we need to get better at is not getting caught up in the negative and unproductive thoughts that we do not wish to react to. Gaining an awareness of our thoughts without judgments and letting them pass away may be the first step to attaining a calming mind. In fact, the Ironic process theory states that trying not to think of something may prompt us to think of it even more. So while acknowledging that we cannot control the thoughts that come, we can train ourselves better to let them pass. The same participant who shared the anecdote on her confidence issues later shared further that once she became aware of how her limiting beliefs were hindering her from being a more confident person she hoped to be, she found her mind becoming freer from the limits and this became a positive force in her interactions with others. We may all have had a similar experience. If we have overcome such a struggle, we have already learned that we ourselves are the drivers to realizing our potentials – by enacting our self-awareness, we can better understand our thoughts and emotions and strive to steer our actions towards our personal goals. 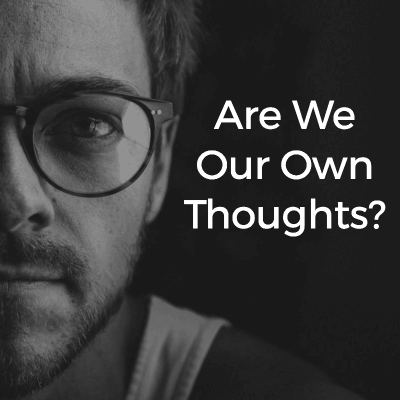 To our original question, our conversation led us to conclude that while our thoughts may not be purely our own in their formation, we can independently recreate them and also choose our reactions to them. We strive in this way to own our thoughts, minds, and actions. 150+ Icebreaker Questions for Amazing Group Discussion Topics to Talk About – 15 Experts Reveal Their Favorite Conversation Starters What is Freedom, And How Can We Define It?